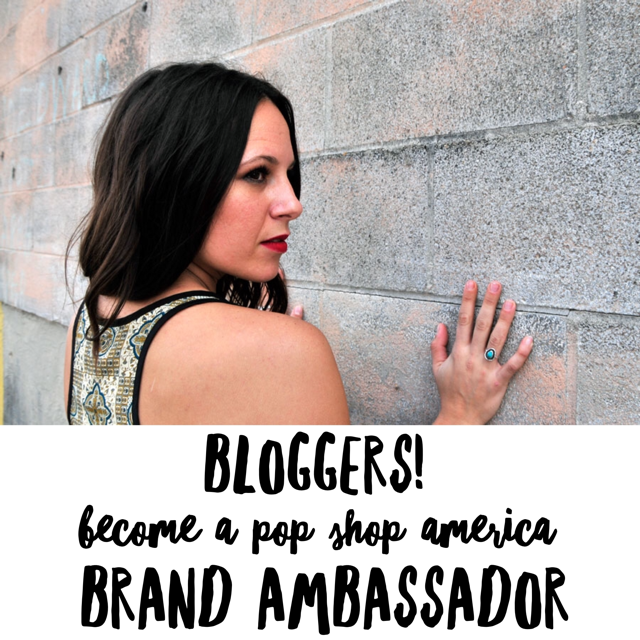 This and other blogs at Pop Shop America may contain affiliate links. 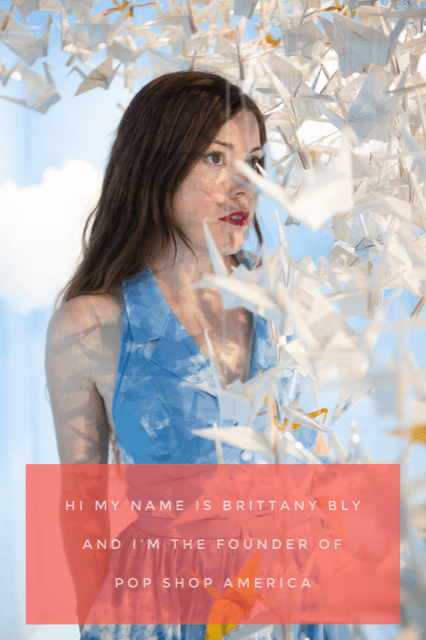 I have a new favorite photo tool that’s an absolute must for any blogger and photographer! 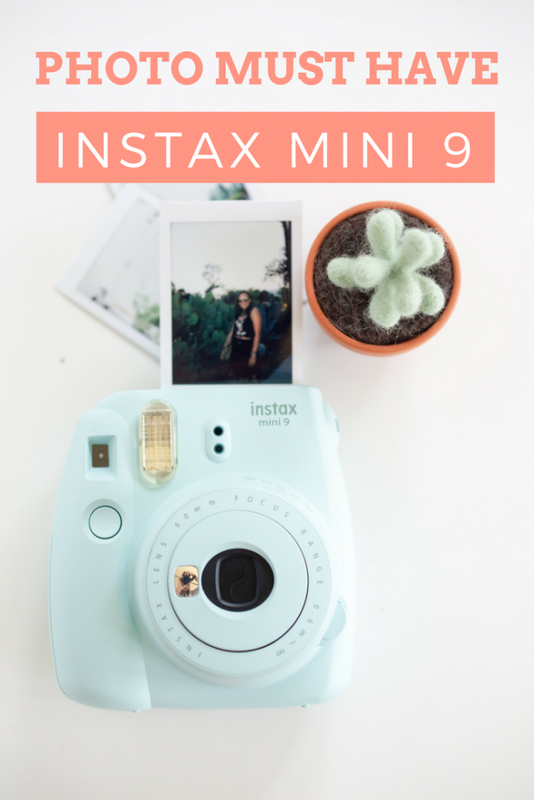 It’s the Fujifilm Instax Mini 9 a small polaroid camera. 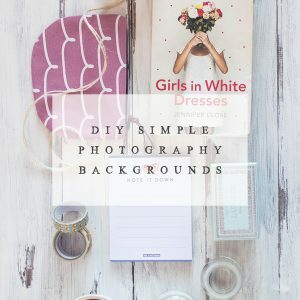 It’s an outside the box way to add gorgeous photos to your blog and social media. 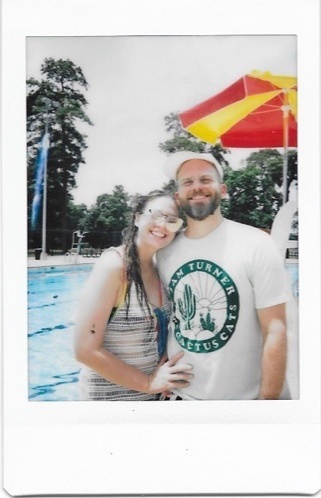 I found it by coincidence on sale at a big box store – you can find this polaroid just about anywhere: Target, Best Buy, etc. But instead of buying it then and there, I checked it out on Amazon where the regular price was about $10 lower than the sale price I found. 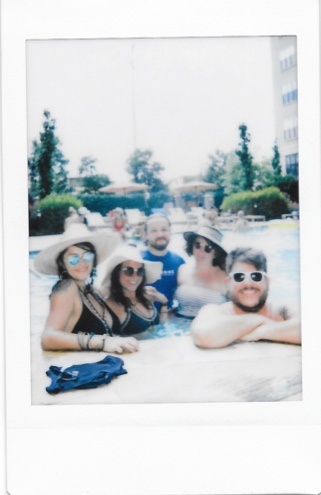 Better yet, Amazon had all the accessories, cool cases, and fun accoutrements to the The Fujifilm Instax Mini 9 there too! It comes in a million different colors there are all fresh and fun: Cobalt Blue, Flamingo Pink, Ice Blue, Lime Green, and Smokey White. I have the Ice Blue which is totally cute. It’s a great accessory to carry around. The camera itself is cute enough for you to be photographed holding it. Polaroids themselves have a stunning washed out look that’s the perfect addition to any blog. 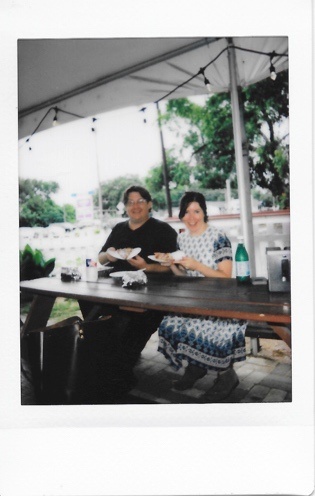 The polaroid film is not terribly expensive – the film is of the most affordable polaroid film there is. Each image will cost you about $.40. It’s a touch vintage and a touch modern. It’s so rare to produce photos as objects – most photos go straight from your phone to social media or from your camera to your blog. It also has a built in light meter so that you have some versatility in locations where you shoot. You can shoot in bright outdoors as well and dark indoor areas. There’s a built in flash which when used, adds to the photos dreamy aesthetic. This camera is so easy to use. 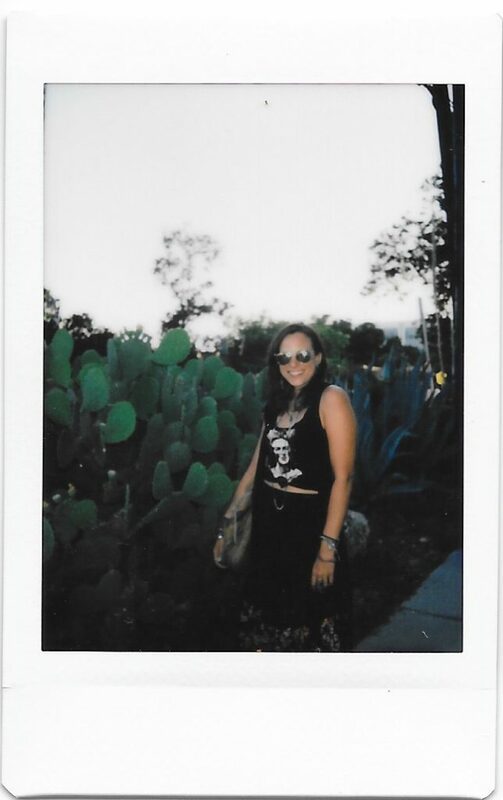 Polaroids have a way of making the imperfect look so gorgeous! Don’t these photos look so dreamy and pretty? 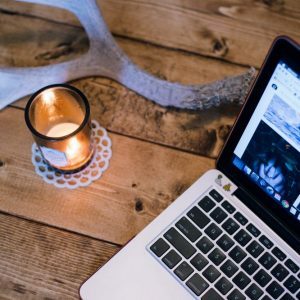 The quality of your Social Media and Blog photos are of the most important components to your blog. It’s what captures and keeps an audience. The quality of your photos are more important than SEO. They are more important than what you are actually writing about. 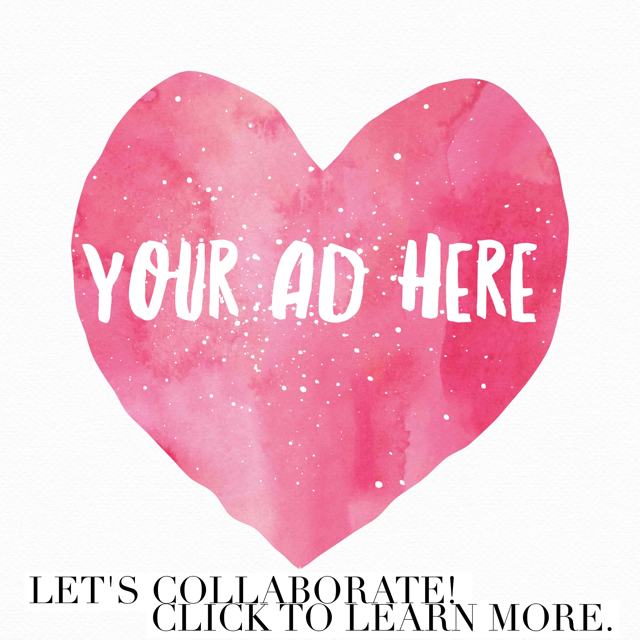 It’s the first thing people see and can make or break a blog’s ability to be shared. 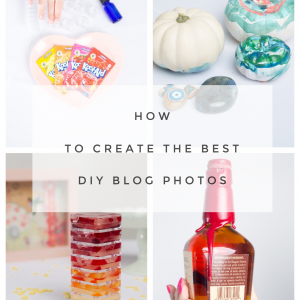 And these photos are cool, interesting, and different than you see on other blogs. 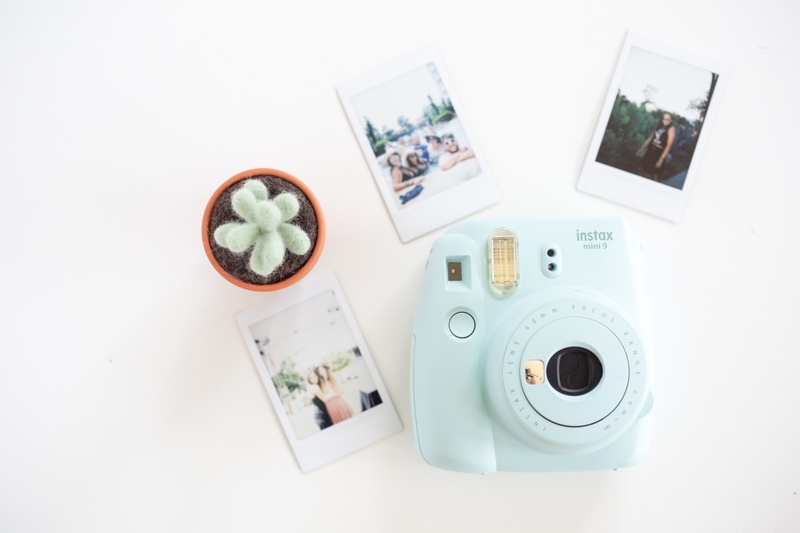 There are so many cute items that you can get for your Fujifilm Instax 9. Check out this Flamingo and Cactus camera case that comes with so many cute accessories. Another favorite is this pack that comes with over 100 sticker frames, desk frames, and paper frames. 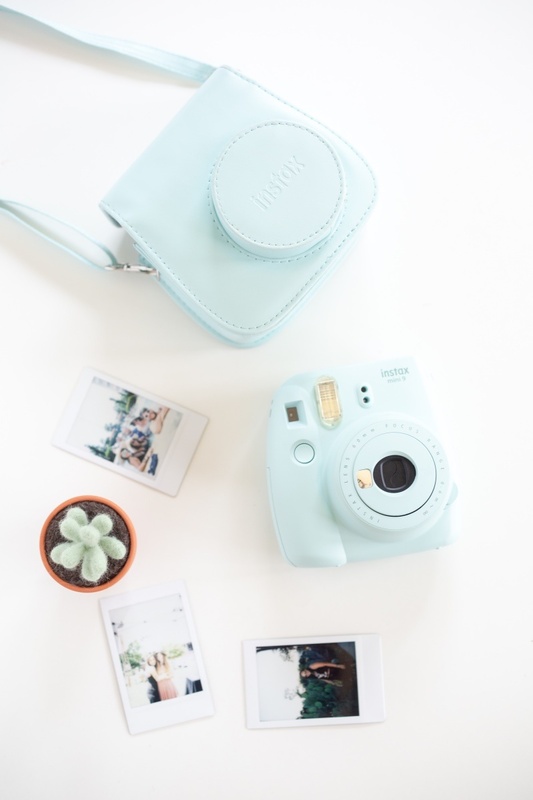 So what accessories for the Fujifilm Instax Mini 9 do you love? Are you going to try this camera or already have one and want to share photos you’ve taken? Tell us in the comments.